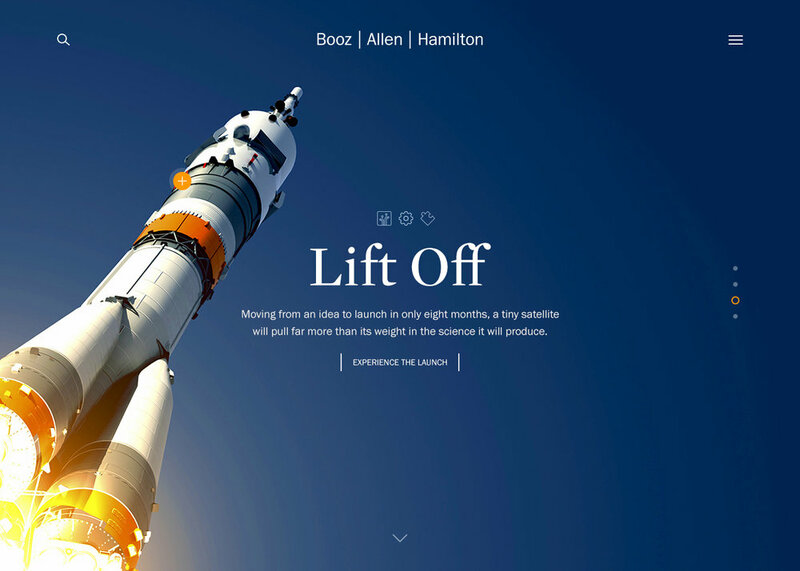 After 100 years in business, Booz Allen Hamilton was in need of a brand refresh. We reintroduced their brand in a bold new way with a digital redesign and an immersive storytelling experience, all in just three months. We kicked off the project with a Creative Strategy session, where we began to understand what led to the decisions for the redesign, the goals and intended outcomes were, and how we would get there. Following these initial conversations, I created a high-level Creative Strategy document to help us stay aligned on our goals and creative approach throughout the course of the engagement. Prior to beginning our Creative Concepts, we collaborated with Booz Allen’s Communications Team to define the key content that would reside on both the Homepage and Story Template. I then created PDDs (Page Definition Diagrams) to illustrate each content type’s purpose and relative priority. A special thanks to Ashleigh Stewart, Jerry Byrd, and Pupon Saiyasak for their contributions to the initial creative concepts.